We have image galleries and value information for dozens of different old ten dollar bills. 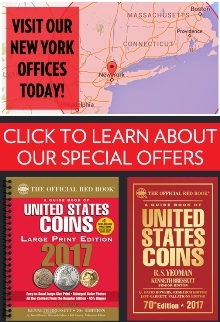 Our site focuses on value information for bills issued between 1861 and 1928. The history of the modern ten dollar bill begins in 1928 when United States currency was changed to the dimensions that we are familiar with today. Alexander Hamilton was first featured on the $10 bill in 1928 and he has been on it ever since then. However, the ten dollar denomination had been printed for almost 70 years before then. Ten dollar bills have been issued as legal tenders, gold certificates, silver certificates, national bank notes, and treasury notes. We have an image gallery below that shows the major design types used for old ten dollar bills. Clicking a picture will take you out to another page that has information about $10 bill values. So who buys old ten dollar bills? We do! We have handled every type of ten dollar bill including rare 1878 silver certificates, 1882 brown backs, and even demand notes. Ten dollar bills are some of our favorites for a couple of reasons. For one, the whole denomination set is collectible. The same cannot be said for denominations over $10. Higher denominations are simply too rare or too expensive to collect. Old ten dollar bills are also a favorite of ours because they were the most issued denomination used by national banks. National banks printed ten dollar bills for first charter notes, brown backs, 1882 blue seals, 1902 red seals, and 1902 blue seals. For example, you could collect $10 blue seals from every state. That is not possible for denominations like fives and fifties. 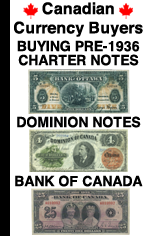 There is also a lot of history on these notes. Did you know that twelve different men were featured on large size ten dollar bills. We have more information about who is on the $10 bill. Ten dollars was still a lot of money back in the day. In 1900 $10 was the equivalent to about $275 today! You can see why so few bills survived. That was a week’s pay for some people. As has always been the case for most collectible money. The majority of old ten dollar bills available on the market today were saved by accident or because they were important to the saver (year of birth, first $10 bill earned by a shop, etc). What is the most we have paid for an old ten dollar bill? 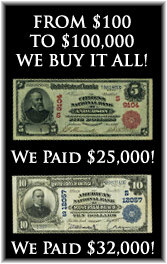 $40,000 in 2013 for a rare national bank note. What is the most valuable ten dollar bill out there? That is a bit of a loaded question. If we exclude signature combinations, national bank notes, stars, and low serial numbers, then the rarest $10 bill would be a demand note from the early 1860s. However, a perfect storm of previously mentioned factors could create something much more valuable than a demand note. What is the rarest ten dollar bill? There are several $10 bills that are unique as star notes or for their signature combinations. What year were ten dollar bills first printed? There were notes equivalent to ten dollars circulating in colonial America. However, the short answer is 1861. How can I get my ten dollar bill appraised? We list our email above to help customers get accurate values. However, we do have another pages about $10 bill appraisals. Are prices for $10 bills increasing? 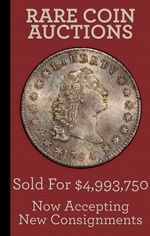 One great myth about collectible currency is that the values will increase over time. That is simply not true. There is no ten dollar bill that will ever be any rarer than it is today. As collectors and dealers we hope prices will increase. Sadly though, the fact that there are very few young collectors mixed with an increasing supply means that prices are probably as high right now as they will ever be. You can also use our decade guide to quickly jump to see what old ten dollar bills looked like during the large size currency era.